Dealing with the topic of neoliberal liquid life, The Wide West Show is a choreographic stream of changes and conquest. A parade of the failed Progress. A glide on capitalistic ruins embodied in silly bodies. 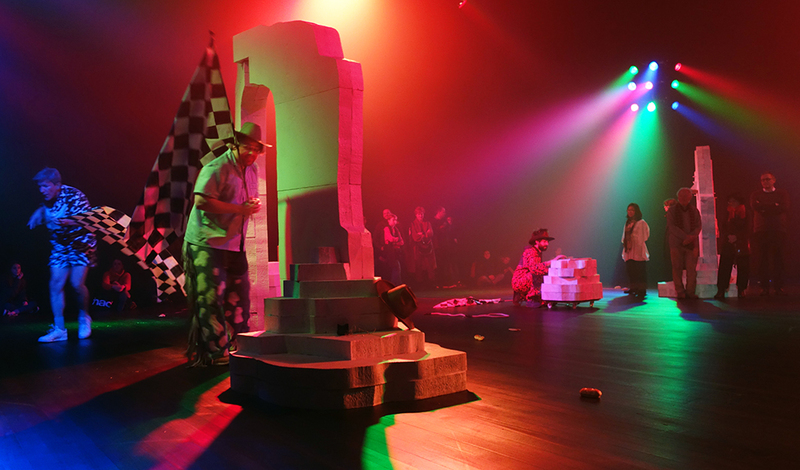 Fundings: ville de Genève, la Loterie Romande, Pro Helvetia – Fondation suisse pour la culture, Fondation Nestlé pour l’art, Ernst Göhner Stiftung, la Tanzhaus, Zurich. Inspired by the Scandinavian nature, Gregory Stauffer meets the body with organic matter in Dreams for the Dreamless. A touching and compelling show, fed of scum and wind… it is a journey that Gregory Stauffer offers us with Dreams for the Dreamless. 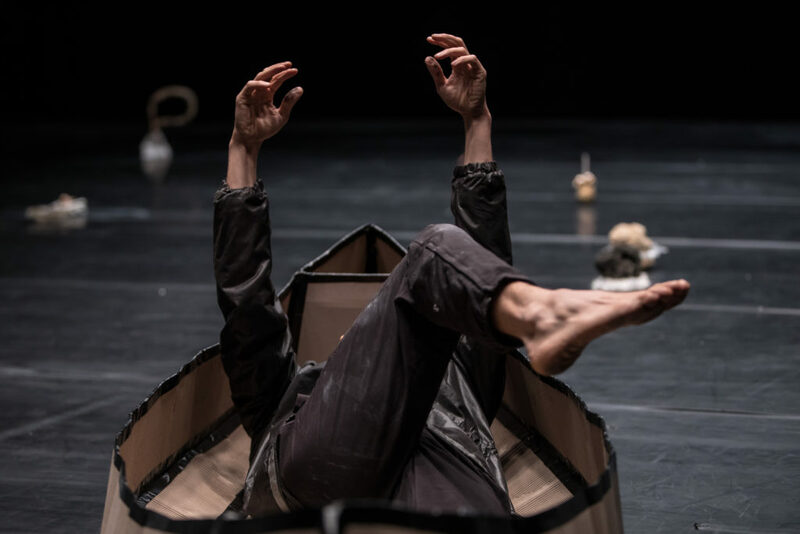 A sensorial, choreographic and musical meander, which oscillates between the quest for an elsewhere and a return to the self. 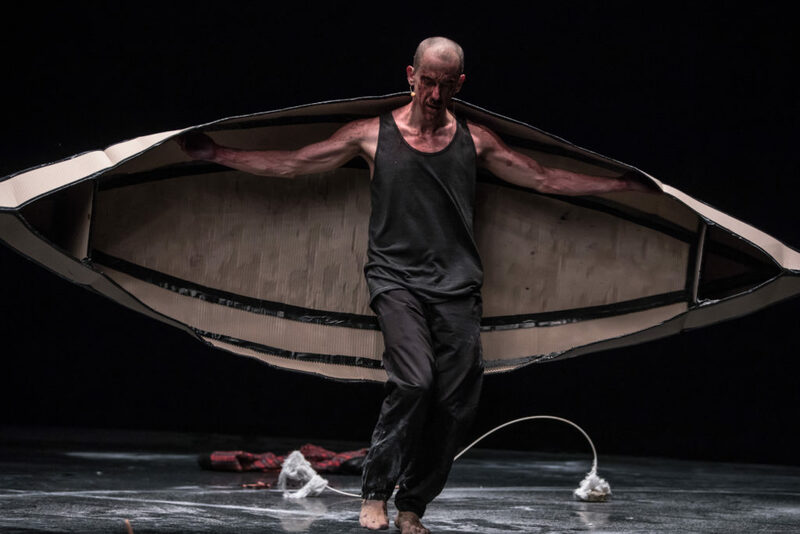 … Having spent time in Finland in the frame of an artist residency, the young dancer, born in 1980, brings back souvenirs of light and dark waters, brought to life in a solo performance of mysterious and ambivalent energies. 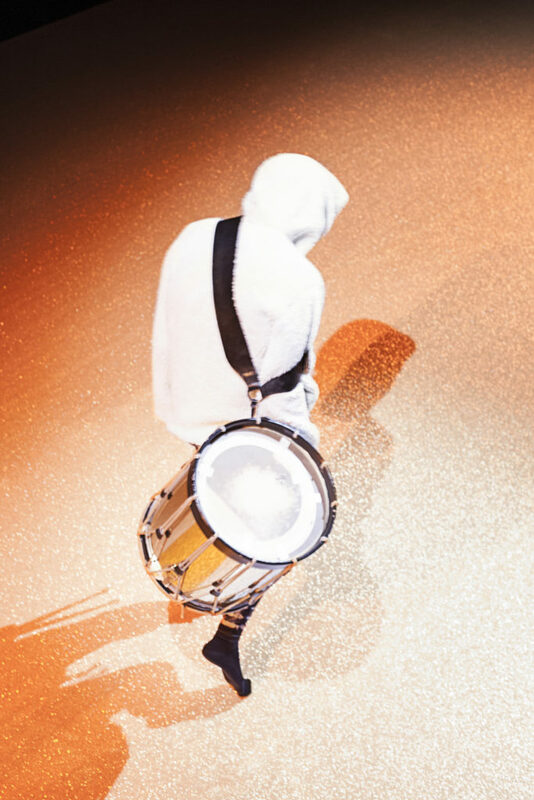 For 60 minutes, I walk with a drum, with a flute, but mainly using only the body in motion. 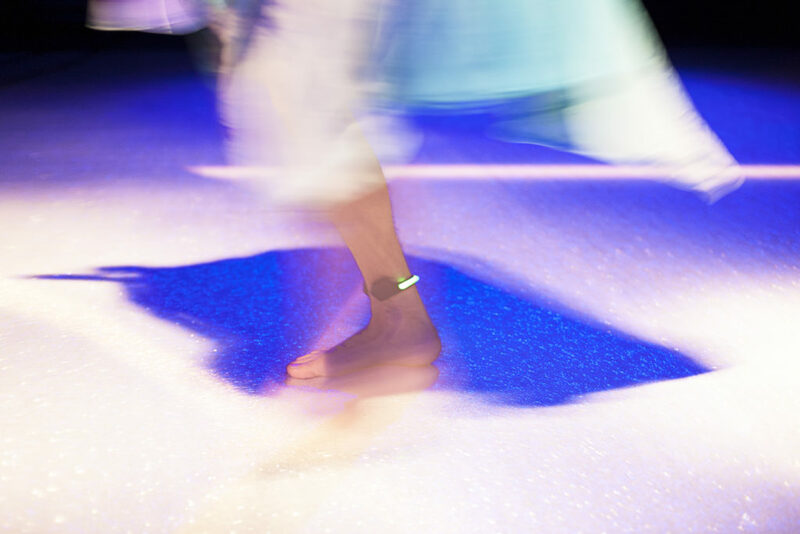 During the performance, the physical gestures of walking evolve and change in response to playful experimentation with forces of imbalance and falling. This performance is a tribute to the land that carries our shifting verticalities and grounds our dreams and ambitions. The focus of attention is brought to ground level, to the height of the foot and the earth that we crowd, drawing tracks and paths on our journey through life until death. This work considers wandering as a way of being in the world where, according to the words of Rebecca Solnit, the landscape and the mind and the body connect with each other to form a musical chord. 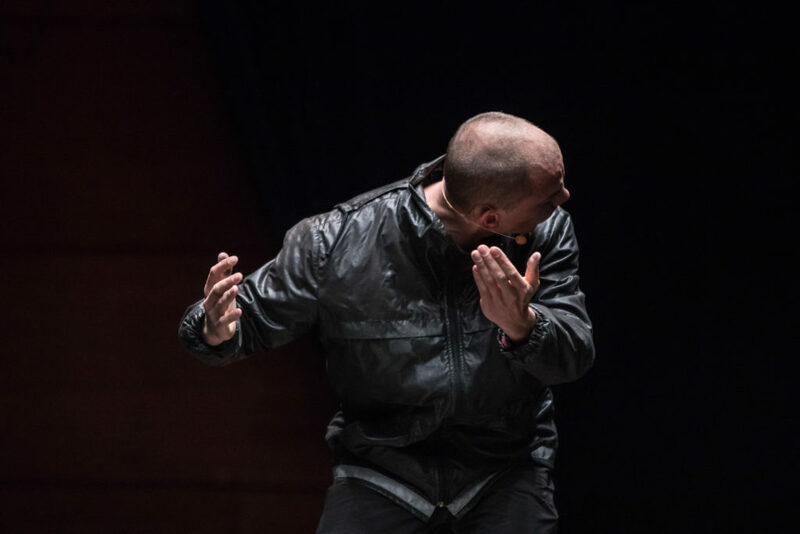 Gregory was introduced to live arts practice through experimental and performative rock. He immersed himself in land art and fine arts experimentation in Geneva. Finally, he undertook physical theater training at the Scuola Teatro Dimitri in Verscio. Since 2006, he has been developing choreographic work in-situ. 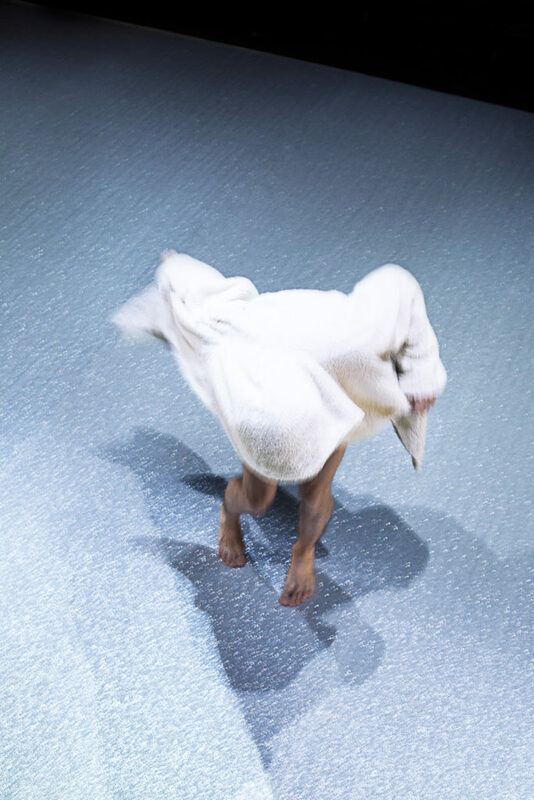 His multidisciplinary practice flows between choreography, video, drawing and sound in a playful and deliberately blurry way. He promotes collaborations and feeds a passion for creative processes. 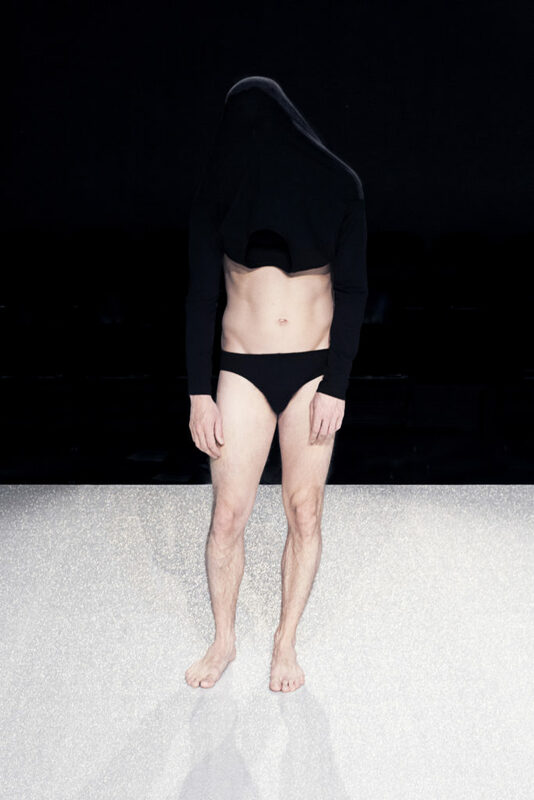 Gregory is co-founder and member of the 2007-2017 Authentic Boys video-performance collective. He teaches in several university programs in Switzerland and France. 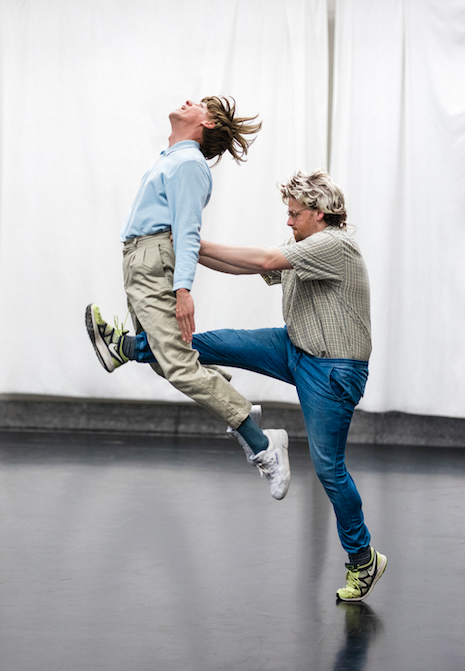 He is regularly invited to the Swiss Contemporary Dance Days and his work is visible both in theaters and contemporary art spaces. After two years of working nomadically, he moved to Lausanne where he became an associated artist with Arsenic, center of contemporary scenic art for the 17/18 & 18/19 seasons. Gregory created the solos, Dreams for the Dreamless in 2017 and Walking in 2015. He also toured with Introducing Schaffter & Stauffer 2014 and site specific intervention series, 2/3 2011-2015.